Another excellent example of Tanglewood guitars. This time we have a 12 string electro acoustic guitar. Tanglewood’s Winterleaf series provides outstanding value for money, and if you needed proof – just try out the TW12CE. In terms of playability and tone, we challenge you to find a more satisfying 12 string in the price bracket! 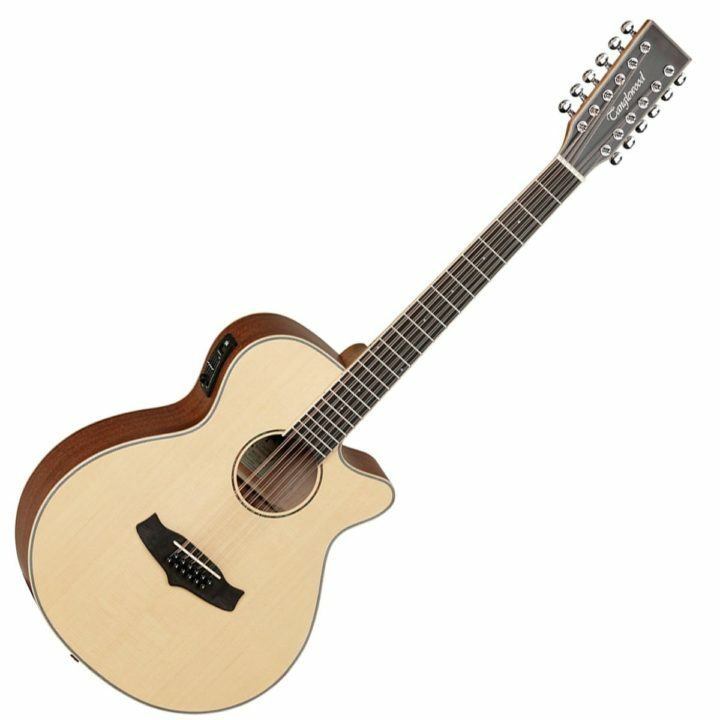 One of the most impressive features of the Tanglewood Winterleaf TW12CE is the outstanding playability it provides. Normally you’d expect a chunky, tougher-to-play neck at this price point – but not here. Even if you’ve never played a 12-string before, you’ll quickly get to grips with this very fluid feeling guitar. Playability is matched with a highly desirable tone. It uses mahogany back and sides which creates a full bodied, warm tonal base, topped with a solid spruce top really allows the brightness of the higher strings to ring out with immaculate clarity. We’re truly impressed with this guitar, and highly recommend it for all 12-string applications.